These bright, locally made floggers are beautiful and versatile. They produce a surprisingly good thwack considering their humble material. The melted and knotted ends finish each strike with punctuation. 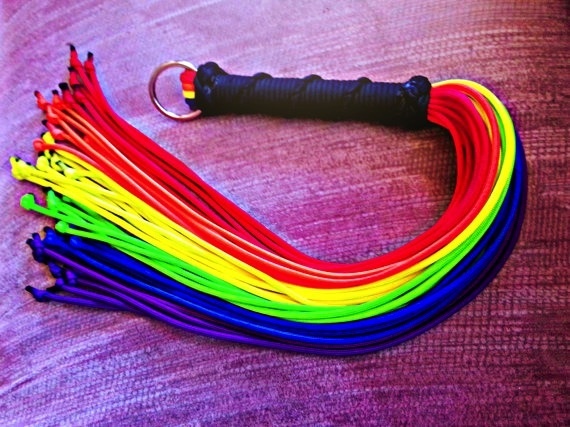 These floggers come in a range of colors. Please contact us for pictures of what we currently have in stock. Or you can let us surprise you! 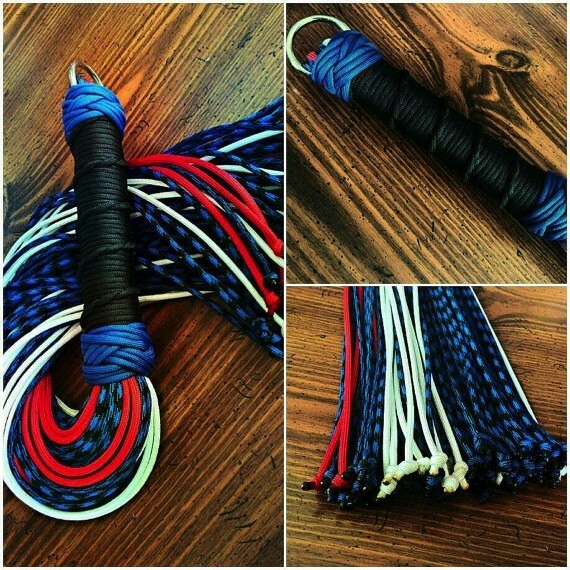 *Each flogger is individual and handmade so the dimensions will vary slightly. 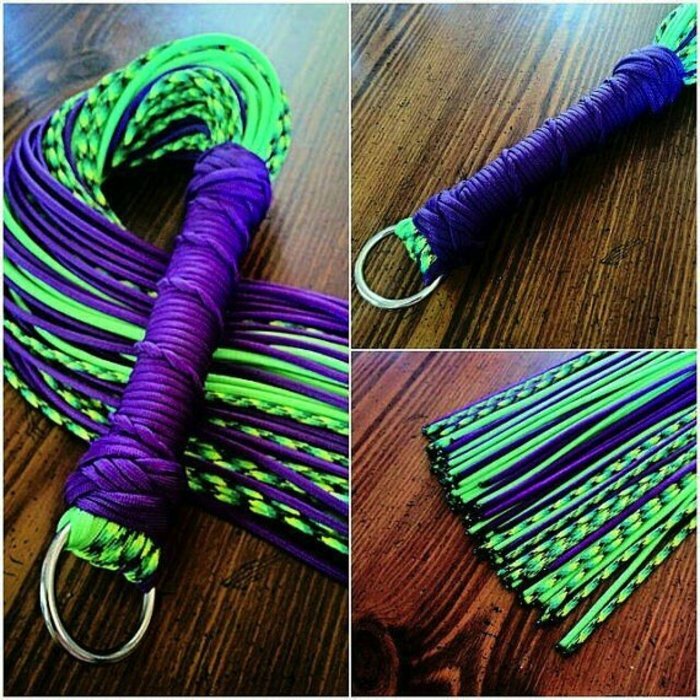 You can use mild detergent on paracord, and it can be submerged in warm water. You may also soak these in a mixture of 50/50 alcohol and water. Allow it to air dry.